Yesterday, India’s Minister of Railways, Shri Suresh Prabhu, inaugurated and launched Works Module of Indian Railways E-Procurement System (IREPS), as well as implemented the ‘e-Tendering in Works Contracts’. This will be a paramount progress towards IT enablement of Indian Railways. Notably, this is not due to the mere efforts of the Engineering Department, but rather the comprehensive efforts of all. The Minister mentioned that except for the Indian Railway, there was no other organisation that possess such transparent process for finalizing tender process. This major progress not only brings about efficiency (i.e. less time wasted) but also pushes for transparency at the global benchmark. Also, with regards to the Digital India concept, more than 60% railway tickets are presently being purchased online through the Indian Railway Catering and Tourism Corporation (IRCTC). This E-Connectivity will bring about major perks as this transparent process will boost the people’s support for the railways. Indian Railways is one of the largest rail network in the world with about 1, 16,000 track kilometre, 66,000 route Kilometre, 1,39,000 Bridges, 26,000 Km electrified routes, 8500 stations and about 6 lakh quarters. 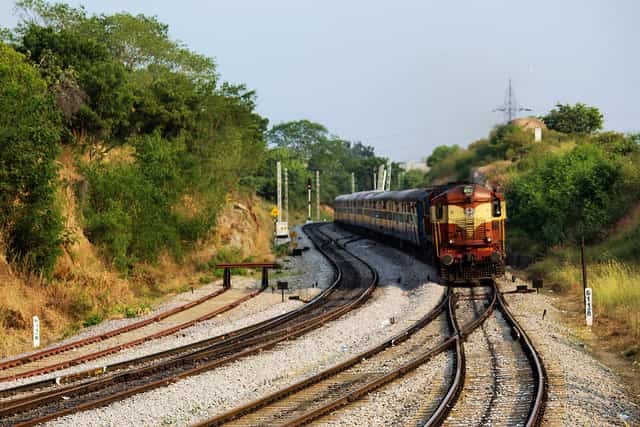 At present, the railway department manually handles its expenditures for maintenance or upgrading of existing of assets as the creation of new assets which actually requires a huge involvement of Works tenders, bidders and railway officials. This manual handling of huge volume of tenders has its own shortcomings like being time consuming, lack of uniformity, constraints on bidders in submitting their bids etc. This system will make use of newly developed IT applications and thus enable railways to implement e-governance in Works Contract with facilities like creation and publication of tenders online, facilitate instant online creation of comparative chart and briefing note etc. Ultimately it will lead to the reduction in hassles related to tendering process, saving cost and time, better access to information, more competition and boost efficiency. This therefore results in greater ease when working and subsequently, a reduction in complaint related to tendering.